Lake Ginninderra Walk is a 7.3km walk around the lake. Great views of the lake, parklands and belconnen. 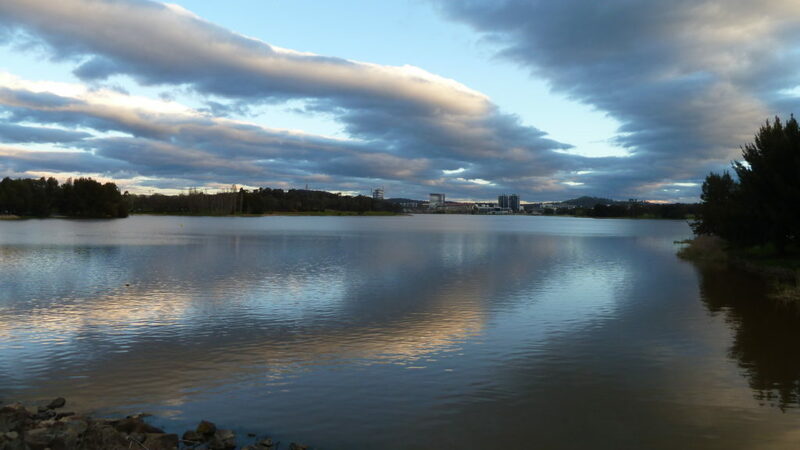 Lake Ginninderra walk is one of the many sensational city walks Canberra has to offer. Located in Belconnen, the Lake Ginninderra circuit does a 7.3km loop along the lake. The walk is paved and fairly flat. So it would suit most people to have a nice stroll. On average walking around lake Ginninderra should take between 70 – 90 mins. The walk offers excellent views across the lake and parkland. I’ve often seen wild kangaroo’s doing this walk which I find quite amazing being so close to the city. But that is Canberra for you. On the back half of the Lake Ginninderra circuit you get some great views of Belconnen. This is such a good walk considering it’s so close to the city. Google Map Link. There are numerous places you can start your strut around Lake Ginninderra. If your driving one of many places to park is on Townsend Pl, Belconnen. Map of Lake Ginninderra Walk. Lake Ginninderra Walk Photo Gallery. Lake Ginninderra Walk youtube clip.